View More In Miniature Circuit Breakers. 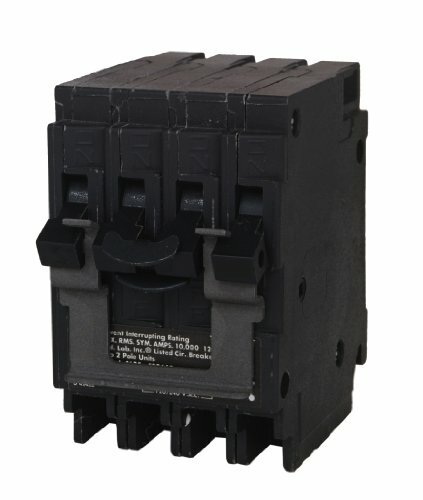 Murray space saving, plug in circuit breakers are intended for use in Murray EQ, Murray Ultimate, ITE, and Gould load centers and meter combinations that are rated to accept type QT breakers. Check wiring diagram to confirm. To ensure the warranty on a Murray panel is not voided, the use of Murray breakers is required. The quadplex breakers provide two double pole breakers in half the space of standard sized breakers. These triplex, 1/2-Inch frame breakers are ideal when new circuits are required in a panel that has no available spaces. Murray strongly recommends against the use of "used" breakers. The installation of used breakers in a Murray panel will void the warranty on the panel. Murray does not sell used breakers and has not approved any 3rd party sellers to do so. If you have any questions about this product by Murray, contact us by completing and submitting the form below. If you are looking for a specif part number, please include it with your message.